Ashton: "Comfort, the weather for the sun dress and the boots are comfortable." Jamie: "Comfort and safari style." 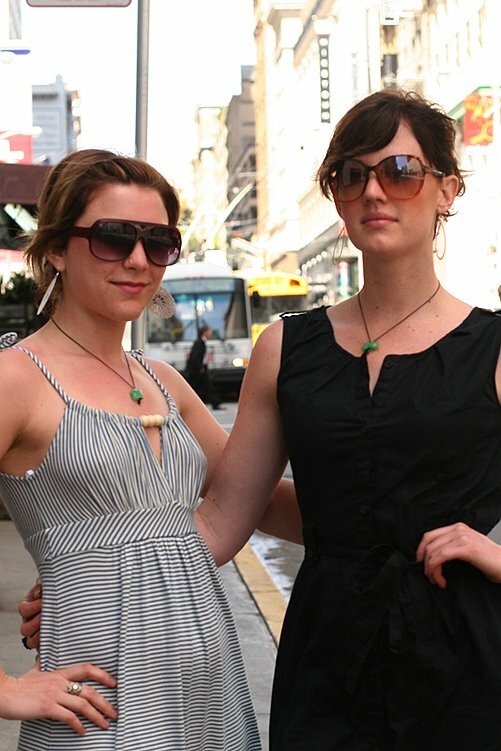 These Salt Lake City visitors look great with their sun dresses, matching glass pendants, big sunnies and cool shoes. I *heart* Ashton's denim boots, they look so very fabulous and Jamie's animal print flats are lovely. Gorgeous. Anyone know a source for the black dress on the right or those sunglasses? OR the necklace? I love it all!